We catch up with prolific surf explorer, Bore aficionado and Stormrider Guide author to ask about new technology, if his guides have crowded line-ups and whether he's tempted to keep new discoveries to himself. Antony YEP Colas is undoubtedly one of the world’s most prolific surf explorers, notching up no fewer than 200 surf trips to 50 different countries over 32 years. Many of these trips have been for the Stormrider guides, which he’s been involved with compiling since the early nineties. Among them are some truly bizarre and unique would-be surf destinations including Pakistan, Azerbaijan and Montenegro. 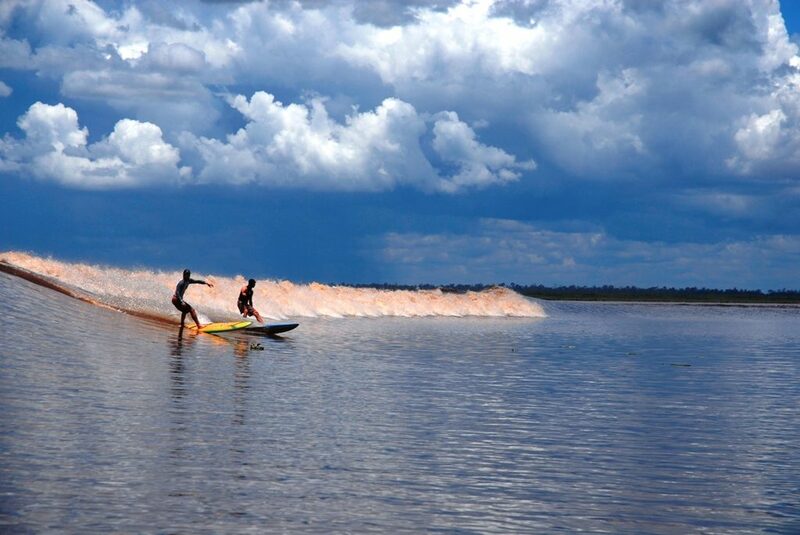 YEP is also the world’s premiere tidal bore aficionado, having travelled to 15 different rivers around the world to sample their brown muddy delights. He’s currently crowd funding a second book, on the subject of the world’s river waves, which will be available on Amazon soon. You can buy the first edition here. We recently caught up with him to find out how he got involved with writing surf guides, how new technology has changed the game, whether he agrees surf guides crowd line ups and if he’s ever tempted to keep his new discoveries all to himself. Tell me about your early life and how you first got involved in surfing? 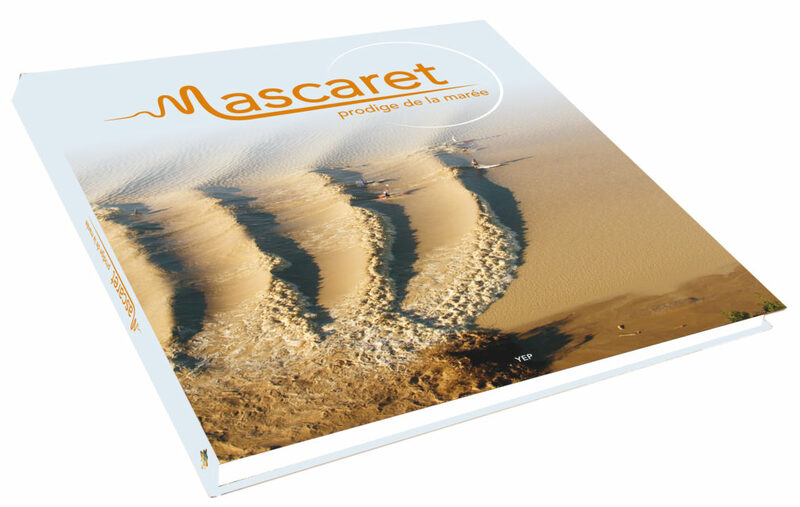 Halfway between Lacanau and Hossegor, north of Les Landes, there is a small seaside resort called Biscarrosse-Plage. My older brother started surfing in the early 80s and when I saw him coming back from the beach with a wide grin after I’d been slaving away on the tennis court, getting smashed by guys who were better than me, I said “I have to try that”. I was 13 at the time and I was already bodysurfing, but a few days after my first go on a Barland 6’8 Single Fin, I sold my rackets and bought a board. I lived 10 km from the beach, but at the time, it was easy to hitchhike and I had a place to leave my board. Like my brother, I was crazy about it! We had a champion (Thierry Domenech), to inspire us, and the sandbars of Whark de la Salie were magic. I met a guy who shaped boards called Kona Winds (we’re still mates), who went to Bali every summer. A lot of circumstances came together to make surfing more than a sport for me; the myth of distant horizons, the songs of the beach boys and the amazing smell of surf wax. How did you get involved with making the Stormrider guides? After spending 18 months in South America when I was 20, I had to return to France. I was low on funds, and I’d borrowed money off a lot of mates, who I had to pay back. I needed to start earning a living. With a good degree from Business School, I found a nice job in Paris but I quickly felt bored to death and missed the salt water. As a user of “THE SURF REPORT” in California, I contacted them to revisit the European issues of the guide and that worked! For $250 per issue, I redid all of Europe. It was a big job and was poorly paid, but I had a ball working for an American publication on the surf spots. During a professional workshop in London I went to see Tim Rainger and Ollie Fitzjones in their surf shop. 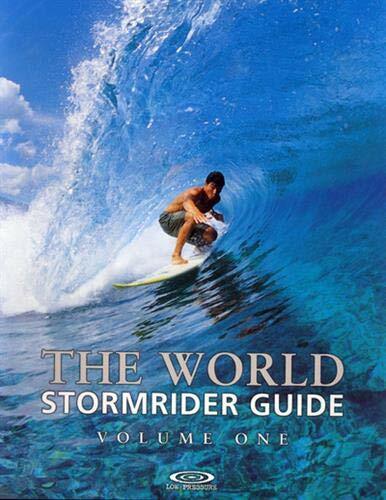 It was 1994, three years after they had released their 1st Stormrider Europe, and they had sold every copy! They were preparing a 2nd edition and they needed help. I was living in Biarritz at the time and we got stuck in as soon as Ollie moved to Hossegor in 1995. It was the start of a long story that is set to continue, as we are planning to bring out a ‘Collectors Edition’ of the Stormrider World in 2018. Does all the new technology that has emerged over the last 30 years, and how much the advancements facilitate exploration, excite you? It’s clear that the knowledge of surf spots has already progressed a lot with technology. With all the websites that are dedicated to spotology, mapping software and all the different forecast sites, it’s easy to find out about the surf conditions at that moment, the location of the waves and how you can access them. However, as long as we aren’t able to fly a satellite over the coastline on the day we want, with extreme precision, we are still going to miss a lot of spots. And that’s so much better for those who will have the chance to discover them one day. Do you spend time looking for new set ups on Google Earth? In the early 2000s, when Google Earth arrived, I used it like a maniac. Before that, I had spent a considerable amount of time and money buying nautical and terrestrial charts, and I was still having so much trouble locating certain places, so it was an immensely effective tool, but it had arrived just a little too late (after volume 1 and 2 of the World Guide). I spent a crazy amount of time producing images of spots with the software. It has been my most profitable trip ever! 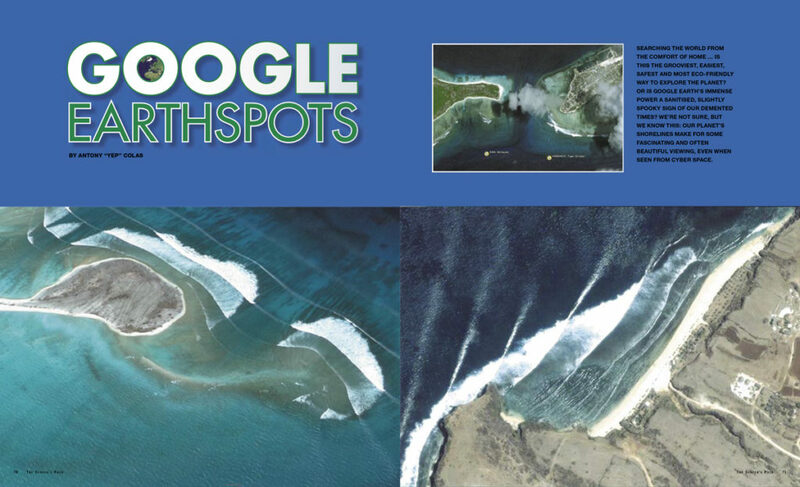 Zero expenses and the magazine articles featuring google earth images sold for a small fortune (compared to now). I sold maybe 40 pages of editorial at $80 a page to a dozen magazines worldwide. Then there was Surfing Magazine’s Google Earth Challenge (which I didn’t participate in) and I calmed down a bit. That said, I still spend a lot of time on it! Why didn’t you participate in the Google Earth challenge? On one hand, it helps us to do our work for the Stormrider Guides. But on the other, it made things so easy that our guides are no longer as crucial. You always need to be one step ahead of technology, although it’s not always easy! Tell me about your love for tidal bores? What interests you so much about them? The subject of the tidal bores remains a fascinating area to me because there is still so much to discover. The phenomenon occurs so rarely, both in terms of time and space, you really have to look to find it! Although the plus side is that because they occur on a fixed date it’s perfectly predictable. 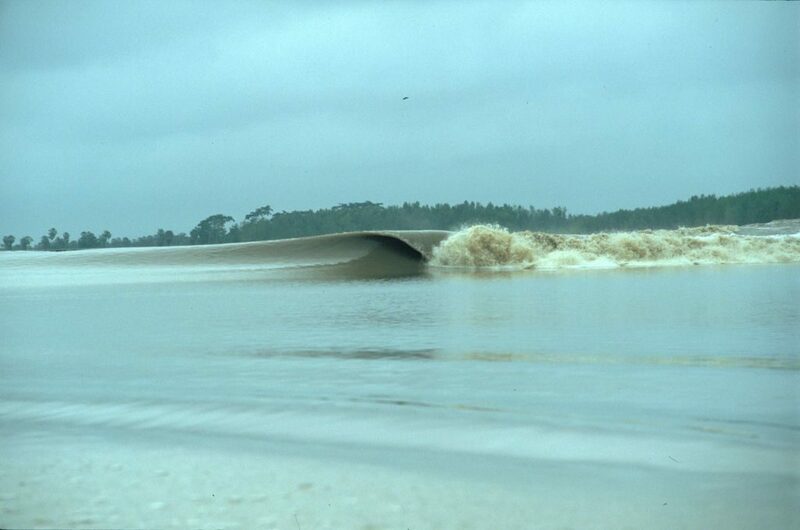 It works like clockwork- when the stars align, each pushing of the tide creates a tidal bore. And now that I’m almost 50 years old, I must admit that I appreciate more and more the tranquility of the forest and the length of the rides; surfing for an hour non-stop on a wave that never ends, occasionally stringing together little flurries of cutbacks. 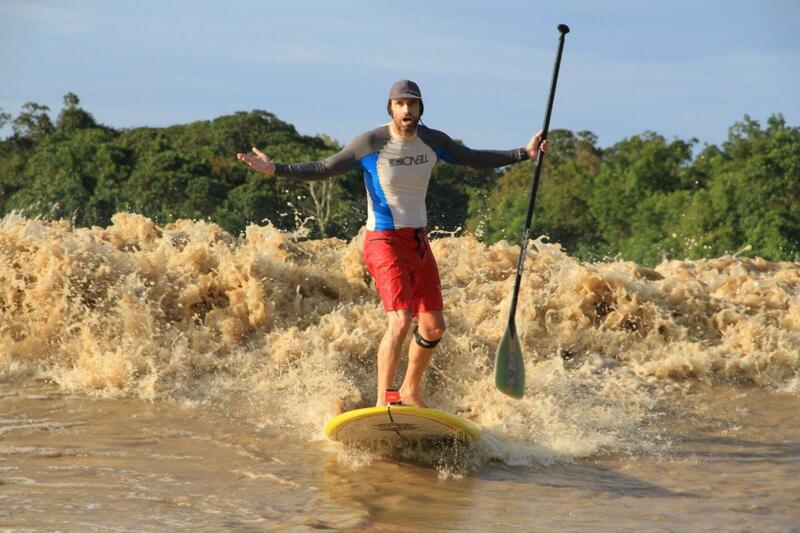 It’s a crazy surfing experience, and with a SUP, it’s even more fun! And what drew you to searching in countries on the Med and the Adriatic Seas? In the early 2000s, I tackled the thorny issue of the Med: the largest closed sea in the world with 2.5 million km2 of water. Having discovered the joys of snorkelling in Corsica, as a child, I always loved the ‘Big Blue’; its colours and whims! 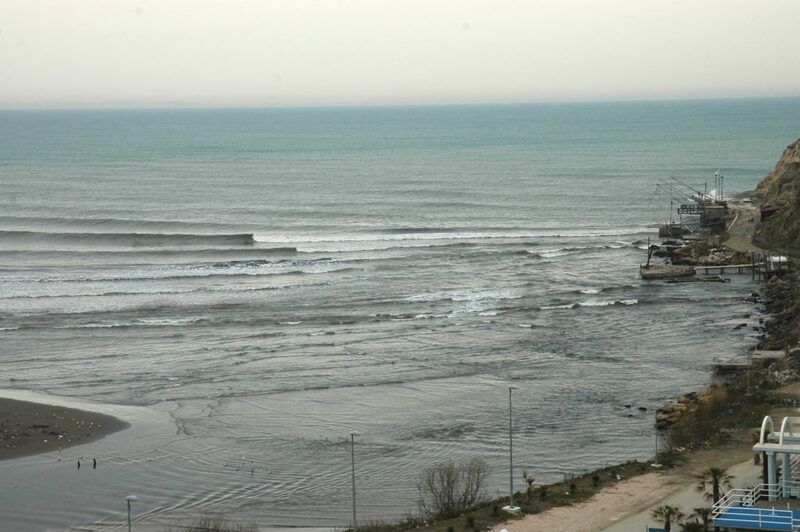 In 2003 I started with the Black Sea in Turkey before a complicated attempt at surfing in the Caspian Sea in Baku in August 2004. Then there was an attempt in Alexandria in Egypt in 2005: with one crazy day during a 2 week trip. Then I moved closer to Europe and it was the right move. Tabarka in Tunisia was crazy in 2006, Malta in 2007 was mythical, Cyprus in 2008 was great then on to Libya in 2009: the best waves in Med. We had planned to go there for 2 weeks but the forecast was rubbish, so we left in an old banger, driving to the Adriatic to catch waves for two days in Montenegro before returning to Libya. The end of this exploration of the Med ended in 2010 with 2 back-to-back trips to Algeria, the grand finale; long lefts, a welcoming country and lovely people! 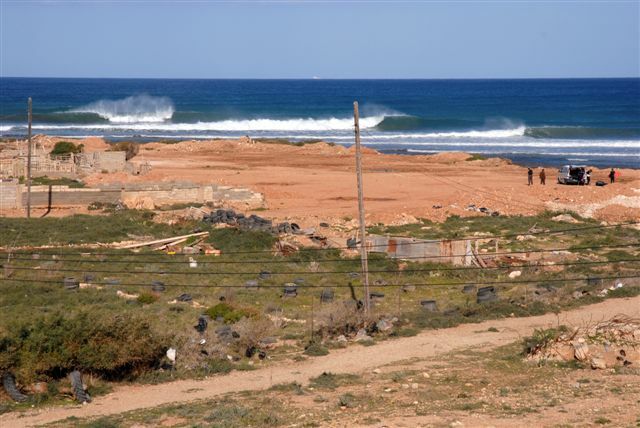 I came back to Tunisia with my family in the middle of the summer to score some good lefts at an almost deserted spot while European spots were crumbling under the August crowds. How do you respond to criticism that travel guides take the fun out of searching and crowd line ups? Our principle has always been; say enough to give surfers the urge to move, but don’t tell them everything, so as not to crush their dreams of discovery. This is why we never produced exhaustive guides that feature ALL spots. Before our guide, very little was known, maybe two spots in an area of ten. We turned the tide by detailing up to 8 spots in similar areas, but always leaving 2 aside, for locals and the good surfers. We always tried to spare the “secret spots” but let’s be honest, yes we have been a huge part of the media coverage and exposure of these spots. And I understand that some people may have felt angry, until the day when they themselves used our guides to go surfing elsewhere. ”If you don’t go, you don’t know” but it is also true that, “If you don’t know, you don’t go”. 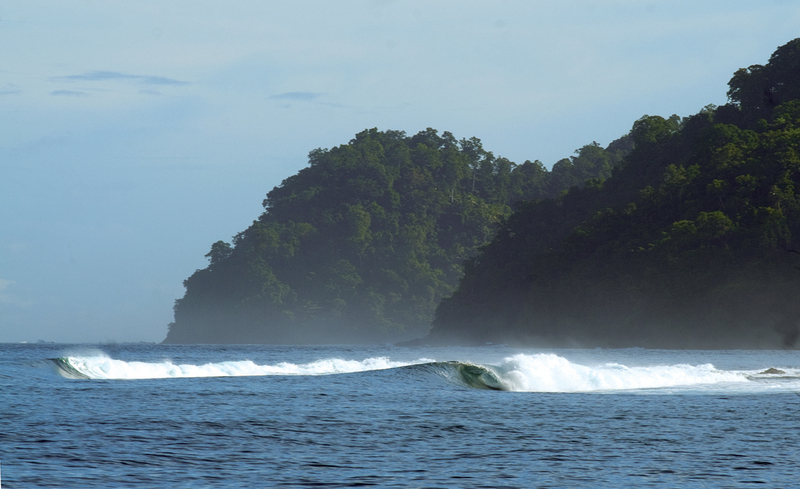 Nothing can replace the experience of a trip for knowing the surf potential of a place. Are you ever tempted to keep new finds totally secret? We have a good base of secret spots that have always remained in our boxes and of course, I will not tell you which ones! In fact, few spots are perfectly secret, they are known to some, but most of the time the question is not “where”, but “when”. Many of these spots are fickle, difficult and dangerous. In a lot of the places where locals are reluctant to share their spots, we have managed to paint a gloomier picture of the situation than it merits, to dissuade visitors from going. With all the waves I find on my trips, I try to scramble the tracks a little, so as only to allow the most cunning surfers to find the answers. The quest is as important as surfing itself, right? Do you think empty waves are a waste? Yes, when we consider the wave as a recreational resource, it is important to optimise the distribution of surfers at different spots. It’s a pity if a wave breaks alone, right? Why have so many surfers on one spot and no one on another spot close by? One of our roles as a surf guide was to contribute to a better distribution of surfers at the spots, to reorganise the stream of surfers depending on the level of surfing and avoid certain accidents that may occur if a beginner is surfing at a dangerous spot for example. Now there remains a few untouched areas, but they’re quite difficult to access or they present certain risks. Either we accelerate transport (roads, airports etc) to these areas, or we are condemned to create artificial waves, which seems to me still economically fragile and less ecological, given the energy required to make these waves, maintain the facilities and purify the water. That said, are we wrong to fetishise empty waves in the way we do, when the real beauty comes from waves that are being surfed with joy? 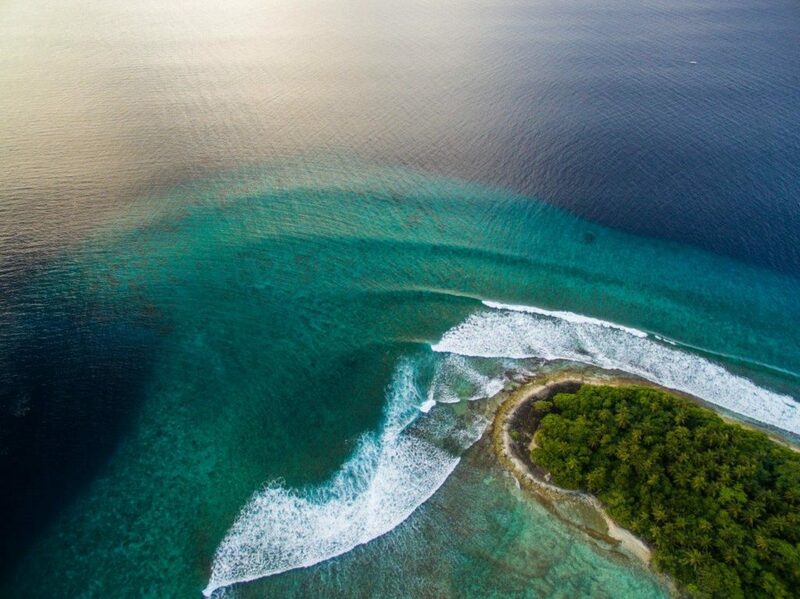 In the Maldives, where I’ve organised trips since 2004, especially in areas where there is no one, I’ve seen guys fight on a virgin/untouched wave! At the time, it was the Oakley junior team, Brazilian surfers like Adriano de Souza. Pablo Paulino got into a scrap with Federico d’Orey in the middle of paradise! This is an example, there have been others! I think everything is a question of attitude. We always say that the best surfer is the one having the most fun and of course, there is a human truth in there. One can find a real calm even when surfing amongst a crowd, if everyone is taking their fair share of waves depending on their level compared to others and the amount of waves available … It’s easier to apply when there is many waves and few people rather than the opposite way around! In Europe, because of the tides, the winter weather, the changing conditions, the level of involvement (more than the level of practice) of the average surfers, I find that there is still a lot of space, compared to USA, Brazil, Japan or Australia. It remains to find space: there are waves everywhere, everything is a question of frequency and quality! Thanks for speaking to us and we look forward to the seeing the new Stormrider collectors world guide next year! Fancy joining YEP on a boat trip in the Maldives? You can book one right here. All photos by YEP, unless otherwise stated.